Winter is one of the best times of year to observe and photograph some of the bird life here in Southwest Florida. In addition to my fishing charters I love taking folks out on my boat for sightseeing trips and I've always offered low priced, two hour tours catering to birdwatchers and photographers. My rate for this is only $100 for one to three people. The best times are during the bottom of the tides and just before sunset. If you've heading to Ft. Myers or the Pine Island area and are more interested in taking pictures than bending a rod feel free to give me a call at (239)565-2960. Here are a couple of shots from last weekend when I was out with my buddy Don Morehead who owns Keystone Custom Rods here in Cape Coral. We absolutely slammed the reds for the first two hours of the morning and landed nine total. Three of the fish were over the slot limit, including the 30 incher in the bottom photo. All but one of these redfish were caught on white jerk baits and the biggest fish smashed a Zara Spook. Despite being cloudy and cold it was one of the best morings I've had in Matlacha Pass in a long time. Winter is a great time of year for birdwatching here around Pine Island and Matlacha. The migrations are in full swing and the negative low tides bring out thousands of our local wading species. If you'd like to go out and observe and photograph some of our local species give me a call at (239)565-2960 and set up a bird watching trip. If you're in the market for a great rod builder here in Southwest Florida you have to check out Keystone Custom Rods. Don Moorehead started this business fifteen years ago in Pennsylvania and recently moved it down here to the Cape Coral area. He builds rods for every type of fishing from bluegills to blue marlin and his finish work is excellent no matter what your budget. He also does repairs on any kind of rod, usually a lot quicker and less expensive than the manufacturer will charge even under warranty. Check out his rods at Florida Paddlesports in Cape Coral or give him a call at (239)292-5201. Don is also diehard Steelers fan so you know he's a good guy. In addition to this blog and the Nautical Mile newspaper, I also contribute regular articles to the Florida Marine Times. This is a online and print publication that's also a great place to buy or sell a boat. All of my Marine Times articles are exclusive to them but you can them all a read by clicking here. The weatherman got the forecast wrong yesterday and the fog didn't lift until almost 1:30 in the afternoon. When it finally burned off the redfish poured onto the flats and my dad nailed this 24 incher on a Badonk-A-Donk topwater lure. One thing I've noticed lately is that the reds are feeding most aggressively over the darker grass. If you have a boat capable of floating in less than a foot of water the back bays of Matlacha Pass are a sure thing right now. The waters surrounding Pine Island are a fly fishing paradise. In addition to the great saltwater species such as tarpon, snook, redfish, and sea trout, Southwest Florida is blessed with over 300 days a year of pure sunshine and relatively calm winds. If light tackle is your game then there are many reasons to take a saltwater fly rod with you each time you hit the water. For this area, an 8 or 9-weight fly rod with a matching disc-drag aluminum reel is a great all around choice for the flats and inshore fishing. 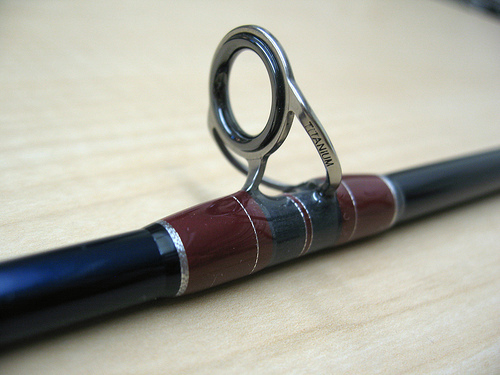 If you’re just starting out there is no reason to spend any more than a couple hundred dollars on your first rod. The high performance and fast action of a $700 Orvis will be lost on you as a beginner, so you really don’t need to consider those at first. Many smaller manufacturers such as Temple Fork, St. Croix, or Redington offer complete entry-level rod and reel packages for less than $400. This will give you a saltwater-ready outfit that often comes with a lifetime warranty, too. 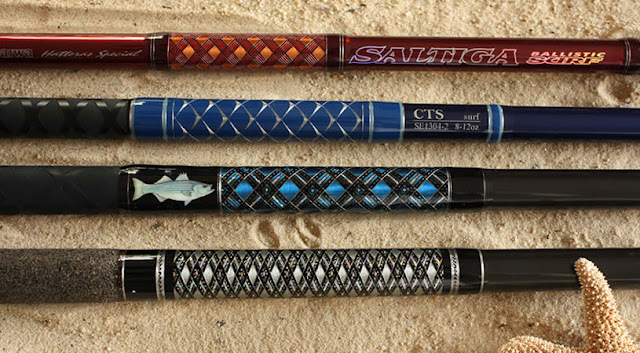 The advances in graphite composites and computerized machine-tooling have created a revolution in affordable fly fishing gear. Some of these beginner’s outfits are as good as anything the top manufacturers were producing ten years ago at twice the price. Actually learning to cast a fly rod is a lot easier than it looks. It’s a simple matter or timing, coordination and a surprisingly small amount of muscle. Anyone who can operate a bait caster or spinning rod can learn the basics of fly casting in a few hours. There are dozens of great how-to books and DVDs on the market but to get the most bang for your buck I highly recommend taking a lesson from a certified instructor. The extra money you’ll spend on a personal lesson will guarantee that you don’t teach yourself a few bad habits that will hurt your casting ability later on down the road. There is a fly fishing school located right here on Pine Island and several fishing guides in the area, myself included, welcome beginners and will gladly incorporate a casting lesson into a day’s charter. On top of being affordable and easy to learn, fly fishing is highly effective in a lot of different situations, especially when the winds are dead calm. For big redfish tailing in half a foot of water, silently dropping a deer hair fly on their nose is a great way to avoid spooking them. In the clear waters of Charlotte Harbor, stripping a dark streamer across the nose of a huge laid-up tarpon will often trigger an explosive strike. The resulting hookups are jaw-dropping and fighting a big fish on a saltwater fly rod is absolutely unforgettable. Like any great sport, learning to fly fish is not effortless but it’s far from a mysterious and sophisticated art form. The truth is that being able to cast a fly is just another highly useful tool in the arsenal of a well rounded angler. Nothing about fly fishing, from the cost of the gear to the time it takes to learn, should be intimidating. If you spend time on the waters around Pine Island, make this the year you finally give it a try. Today we had productive but sometimes frustrating morning of chasing redfish in both Matlacha Pass and Pine Island Sound before the cold front hit us in the afternoon. To sum things up, there are still a lot of reds around and most of them are fatties like the one pictured above caught by Ft. Myers angler Ed Hermann on a Zara Spook. We started off by casting to a few tailers right at the bottom of the tide and finally landed this 24 incher a half hour later. It was the same story as almost every other big redfish I've caught lately: find the largest school of mullet and start casting. There will be at least one burried in there. The frustrating part came later when the fish failed to show at some of their usual haunts like the flats off Cabbage Key and Pineland thanks to the advancing cold front. I found only a fraction of the reds in these spots compared to a week ago with similar tides. Oh well, it's always great to be able to blame the weather but if we were only meant to catch one red this morning this was the perfect fish. We also managed to land a handful of trout and every one of them would have been a keeper if their season was open. I'm actually looking forward to what some lower temps and hopefully cleaner water will bring us this week. Yep, that's my dad with another lure impaled into his body. This happened to him the other day when a big snook flung this Zara Spook straight back at him at warp speed. Fortunately he was on my boat using one of my lures and I crush the barbs on them as soon as I take them out of the box. The last time this happend to Pops he was on his boat trying to unhook a bluefish when a barbed Mirrolure wound up under his thumbnail. We ran back home and three strong Manhattans later I was cutting into him with a razorblade. Lesson learned. Debarb your hooks and you'll aviod a trip to the emergency room or kitchen table surgery. I caught this red near McArdle Island in the southern part of Matlacha Pass on a white Zara Spook. I was also using a Penn 4500 spinning reel that I bought almost 18 years ago at the old Woolworths in Key West. It still functions just as smoothly today as it did straight out of the box. They literally don't make them like they used to. I had another great charter yesterday going after tailing reds on the fly with Pat Ganje and his wife Teresa. Pat works as a guide for Frontier River Guides of Alaska running float trips on some of the major salmon rivers up there. We had negative low tides for much of the morning which gave us excellent sight casting conditions all day. Pat was using one of his deer hair salmon flies which was perfect for the shallow and grassy waters of northern Matlacha Pass. The 23 inch red pictured above was part of a small school of tailers that popped up less than forty feet off my bow. Pat dropped the fly directly on top of them and got an instantaneous hit. Reds are notorious for clobbering anything when they're schooled up and this fish was no different. After a few quick runs it was on board and posing for hero shots. We've got an unbeatable combination of weather and tides right now that make this one of the best redfish seasons I've ever seen. If you want a lot of shots at these fish on fly give me a call. Stand-up paddle boards, also known as SUPs, have been around for several decades. They originated in Hawaii back in the 1960’s but they’ve really increased in popularity here in the mainland US over the last ten years. Chances are you’ve seen someone rowing one of these oversized, and exceptionally light, 10 to 12 foot surfboards around the shallows of Matlacha and Pine Island or off one of the Southwest Florida beaches recently. Standing upright and using a single bladed paddle, SUPs can be a phenomenal workout or a leisurely way to go sight-seeing for a few hours. They’re also one of the best ways to sneak up on tailing redfish that I've ever seen. In calm water a paddle board is absolutely silent and they have none of the “push” that the displacement of a flats boat, no matter how light, can’t help but create. Paddle boards are as close as an angler can come to actually walking on water. Last month was the first time I tried fishing from an SUP and it was a lot easier than I had imagined. The board I was using was an 11 foot Ark Silencer that I borrowed from my buddy Jory Pearson at Florida Paddlesports, our great new kayak shop located just outside of Matlacha. This model is specifically designed for fishing and even has a couple of recessed rod holders molded into its stern. At 38 inches wide, the Ark Silencer is more stable than most SUPs, making it a better platform for casting without losing your balance. Since I was going to be fly fishing I brought along my collapsible leaf basket that doubles as a rod holder and line tamer for the nose of the board. It worked perfectly and kept my fly line out of the water and never got in my way while I was paddling. When I wanted to cast I simply laid the paddle across the board at my feet and held it there with my toes. I loaded the Ark board onto the bow of my Beavertail skiff and ran to a couple of islands just over a mile north of Matlacha. I could have paddled out to this spot but I wasn’t looking at these boards for their awesome workout potential. I just wanted to use them to sneak up on some fish, not chisel myself a new six-pack of abs. After the short run I launched the board and set off for the mangroves with my 8-weight Sage. I picked a stretch of water where the slight breeze would carry me straight down the shoreline with minimal paddling. I started casting a slider fly at the tree line for a few minutes before getting slammed by something very solid. The fish thrashed for a moment and then ran from the mangroves and out towards the open flats, dragging me and the 12 foot board right along with it. We traveled about fifty yards upwind before the fish gave up and let me kneel down and grab it by the tail. It was only a 22 inch redfish but I was amazed how easily it was able to pull all that weight, nearly 200 pounds of angler and board, across the surface of the water. Over the past 20 years I’ve fished the flats on foot, from kayaks, canoes, and dozens of different outboard driven skiffs. I can honestly say that hooking this medium sized redfish from a stand-up paddle board was one of the most entertaining things I’ve ever done on the water. While I have no illusions of replacing my Yamaha powered Beavertail with an SUP, I can't wait to see was a catching a big tarpon will be like from one of these boards. If you’d like to check out a stand-up paddle board for yourself stop by Florida Paddlesports in the Publix Plaza on Pine Island Road. They’re open seven days a week and offer kayak and paddle board rentals, tours, and lessons. ﻿My good friend and Matlacha neighbor Bill Heindl landed a nice pair of snook with me yesterday in Buzzard Bay. Bill was casting his favorite topwater lure, the indispensable Zara Spook and slammed a 22 and 25 incher within an hour or sunset from the bow of my Beavertail skiff. The tide was barely rising and the water temperature was hovering around 73 degrees. Even though we can't keep any snook this year it's still a great time to come to Southwest Florida and catch a few just for the fun of it. Last week's cold front sent our water temps down into the lower 60's for the entire weekend and combined with some strong north winds made fishing a serious chore just about everwhere. Sunday gave us some of the lowest tides I'd ever seen in all the years I've fished around Pine Island. While delivering a boat from Burnt Store Marine to Sanibel I saw dozens of oyster bars that I never new existed. I also saw some of my favorite redfish flats so far out of the water that they looked more like a lawn that needed mowing. It's way too early for this stuff to be happening as far as I'm concerned and it looks like we're in for another extra cold winter. The choke hold finally ended this morning and the day turned out beautiful for my charter. Pictured above is angler Bill Lee from Toronto who came down with his buddy Mike to hit the flats for the first time. The guys had never even seen a redfish before and Bill finally landed this nice 22 incher after a few hours of casting topwaters. We flushed plenty of reds and some really nice trout and they were all reluctant to hit anything. The water was 63 degrees when we left the ramp but had climbed up to 68 when the red in the photo finally ate. One positive note to the colder temps is the increasing clarity of the flats to the south of Matlacha. This made sight casting a lot easier and gave me a great feel for how many fish are really out there right now. Fishing for the rest of the week should be excellent. Yes, it's still possible to catch them down there this time of year. My friend Capt. Mike Bartlett sent me these shots from yesterday just before a cold front hit the Keys. They were fishing in one of the deeper channels off Key West which is where the big tarpon hold up throughout the colder months. Not too many guides target them in the late fall and winter but Capt. Mike could probably find tarpon in a golf course water hazard if he had to. He's that good. If you're heading to the Keys give him a call at (305)797-2452. If you didn't get to the last on at Two Pines in September make sure you head to Picnic Island just off St. James City on your boat this weekend. This bash is also a charity event to benefit the folks who lost their jobs after the Low Key Tiki fire last month. Here's the full details from the Pine Island Eagle. Trout season ended on Sunday and I caught my last two legal fish in the morning off the Burnt Store Bar. I used a white Strike King and a Zara Spook and landed almost a dozen fish that were over the 15 inch minimum. No more keeping trout until January but you can still enjoy catching them. Just make sure you use barbless hooks since sea trout are easily injured in their mouths. Sunset gave us a great low tide in Matlacha Pass and the redfish were tailing all over one of my favorite flats south of the bridge. I hooked the two reds pictured above within fifteen minutes of each other. I was using the same white Zara Spook in only six inches of water. I released them both even though the first fish was a legal 24 incher. November is still a great month for reds and this is good news since we can't keep any trout or snook these days. Just remember that there's enough meat on a 24 inch redfish to make a nice dinner for four people. Know the laws if you're here on vacation and don't keep more than one per day.